A Year of Being Here: Dan Gerber: "On My Seventieth Birthday"
"On My Seventieth Birthday" by Dan Gerber. Text as published in Sailing Through Cassiopeia (Copper Canyon Press, 2013). Hear the poet read his poem here. 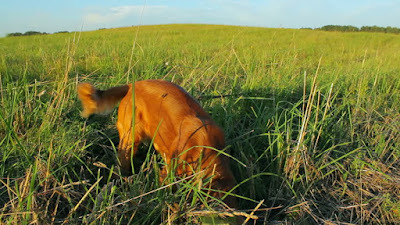 Art credit: Still from a video clip entitled "Close-up of a happy brown dog looking for something in the field, searching in the grass, camera movement," by TCreativeMedia. An excellent, magnanimous poem about unendurable realities that the human being is forced to endure. I found it difficult to read at times because it compelled me to think about those realities. 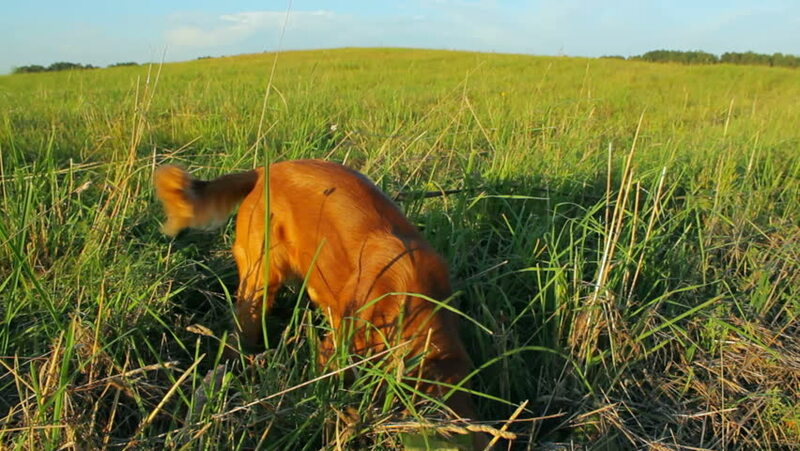 I am nonetheless grateful to the poet for reminding his readers of those things which we would prefer to forget about. Mindfulness requires us to be aware of, and responsive to, those things we would prefer to forget about. Mindful poems can help us do that. Hard to write, hard to read.